It’s really unfair to say that The Boeing Company (NYSE:BA) is back, when it never really left. It’s true that The Boeing Company (NYSE:BA) has had some problems recently. The flap with the batteries in the 787 Dreamliner was the sort of news that public relation’s disasters are made from: high profile, good imagery for the networks, and an issue (air safety) that always grabs the public’s attention. As a former newsie, I understand why the media hammered the company for a month. That led to the company’s most prominent product being pulled off the shelves and out of the skies for more than 2 months. 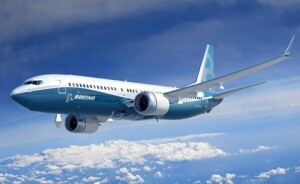 But predictions of The Boeing Company (NYSE:BA)’s doom failed to come true. The fact is that The Boeing Company (NYSE:BA) is involved in a number of different market spaces, including commercial and military aircraft and even aerospace development. One short term glitch for one product – even if that product is very visible to the public – isn’t enough to derail a firm like The Boeing Company (NYSE:BA). Or yes, problems. But note the effect that the grounding of the Dreamliner for a few months had on The Boeing Company (NYSE:BA)’s share price. With the 787 just about set to get back in the air, shares in Boeing are up 17.66% since the first of the year. Even after the drop Boeing experienced on the bad Dreamliner news, this beats the gains of the S&P in the same time period. The company has been backstopped by both its defense and space divisions, sure, but there have also been some acts of faith made by commercial aircraft buyers. Ryanair Holdings plc (ADR) (NASDAQ:RYAAY), the Irish airline, has shown faith with its order of 175 smaller 737 jets from Boeing for more than $15 billion. Even further, the CEO of Ryanair Holdings plc (ADR) (NASDAQ:RYAAY) – the outspoken Michael O’Leary – called the media coverage of the Dreamliner issue “unfair commentary” and claimed he’d have bought Dreamliners instead of the 737 if they were as cheap. So even with the high profile issue, Boeing is still doing well and speculators have been buying it up as it has gone through the media wringer. Another positive sign is that the company just announced a $1 billion expansion of its Dreamliner assembly plant in my home of Charleston, SC. It’s never a good idea to give up on a well-run and profitable company just because of some short-term problems.